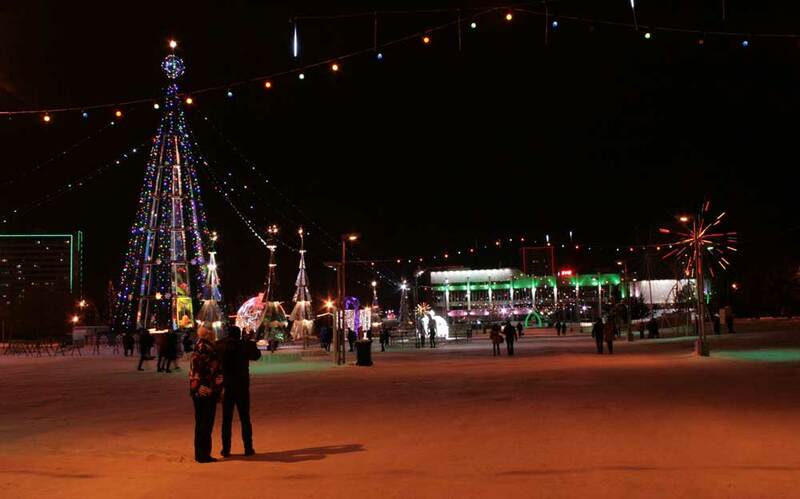 Culture | Night panorama of the square Azatlyk front of the city hall during the new year holidays. New year tree. 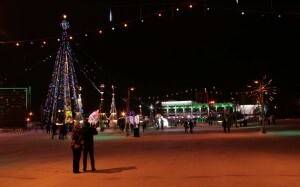 Night panorama of the square Azatlyk front of the city hall during the new year holidays. New year tree. The Carriage Cinderella. Figures that decorate the new year celebration.Three merry snowman.